Tell us about the amazing fiction series you've written on bullying for younger kids. It’s been a wonderful experience working with lifelong friend, Illustrator Paula Heaphy, and Free Spirit Publishing to create The Weird Series. It contains three books: Weird! Dare! and Tough! Each tells a true-to-life story of bullying told from three perspectives: the target, the bystander, and the child doing the bullying. Paula and I have had our own personal experiences with bullying and we wanted to use our experiences and talents to help make a difference. Weird! tells the story of a wonderful little girl named Luisa, who changes everything about herself to avoid being bullied and ends up learning important lessons about being true to who she is. We wanted to explore the roles that the bystander and the child doing the bullying played in Luisa’s story. This is how Dare! and Tough! came to life. We let the characters take us where they needed to go, and in doing so, I think the end result is a real sense of learning and healing from all three perspectives. The Weird Series is completely unique in terms of books on bullying for younger children. What can this series help parents and teachers do in a way that no other books can? Bullying doesn’t involve just one person. The Weird Series helps parents and teachers dig deeper into the roles that we all can play in putting an end to bullying. The books can be read separately or as a set, and regardless of the order in which they are read, each perspective opens a pathway to the other two books. If children wonder why the bystanders don’t speak up at first, or why the child doing the bullying acts so mean, or how the bullying made Luisa feel, parents and teachers can turn to these books for answers. The stories and illustrations are engaging and true-to-life, which means children will relate to the characters and will want to know more about their struggles. 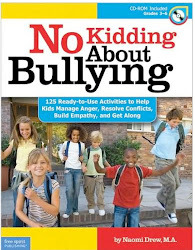 Each book includes “activity club” pages and discussion ideas that give parents and teachers even more ways to explore the topic of bullying with children. What are some important things parents need to know if their child is being bullied? Here is what I have learned. Bullying can affect every area of your child’s life. If your child is being bullied, don’t ignore the signs. 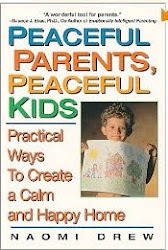 For example, is your child suddenly more withdrawn or acting out of character? Has your child’s sleep habits changed? Have you noticed any unexplained physical injuries or does your child ask to stay home from school often? Targets of bullying are often ashamed and afraid to speak up about bullying. Help your child open up, and reassure him you’ll see to it that things don’t get worse as a result of doing so. Then, make sure to follow through. How can teachers and parents help kids resist bullying their peers and classmates? The greater the empathy, the greater the resistance to cruelty. To build empathy, it’s important to provide children with experiences and opportunities which allow them to put themselves in someone else’s shoes. Children who bully often experience a disconnect between their behavior and its effect other people’s feelings. When children can define and understand their own feelings, it becomes much easier to take on another person’s perspective and feel their feelings. When feelings are put into the equation, bullying becomes less likely. What can parents do to help their children avoid becoming a target of bullying? Start talking about bullying early on. Raise awareness so bullying doesn’t catch your child off guard. Help your child develop a strong sense of self, and along with that, positive self-talk to build confidence or regain confidence in the face of bullying. Often, children who’ve been bullied say, “I didn’t know what to do.” Our reflection and dialogue regarding bullying must be such that children have no question about what to do. The Weird Series provides many specific guidelines on this. If we raise awareness early on, and cultivate empathy, then children won’t have to be on guard. They can be who they are within a supportive culture of kindness rather than one of cruelty. They can go back to being kids. What else do you want to share with us? Before writing The Weird Series, my understanding of bullying came from personal experiences as a child, mother and teacher. While working on the books, I felt a deep responsibility to further that understanding, given the seriousness of the topic. I turned to the research and experience of individuals who have made a difference in bullying prevention. It would be impossible to mention everyone. But if I could share a few with parents and teachers: Barbara Coloroso, Stan Davis, Michele Borba, Rosalind Wiseman, Trevor Romain, and . . . Naomi Drew! 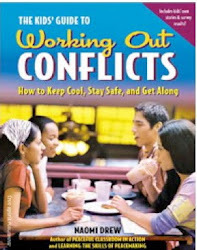 Paula and I have also provided links to some wonderful anti-bullying associations on our website: www.theweirdseries.com. Thanks for the opportunity to talk about something that means so much to me!